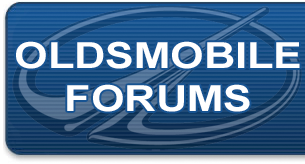 Oldsmobile Cutlass FWD Forum specifically intended for Oldsmobile Cutlass front wheel drive based discussions. My neighbor has a 96 Olds Cutlass Supreme that has the usual leaking intake manifold gaskets problem. He was looking up replacement gaskets for this engine but found that there is a 1st design and a 2nd design for this. He cannot discern which is the proper version. Is there a way to tell this before pulling everything apart? The difference lies in the push rod guides. I believe the 1996 3.1 does not require removal of the pushrods to replace the lower intake gaskets. Be sure to change the o ring on the oil pump drive while you're there and use plenty of silicone where the manifold meets the block. The best gaskets to use are Fel-Pro MS98003T or MS98004T. Both are steel framed. Why put the "prone to fail again" plastic framed gaskets, like the ones you just removed, back in your engine? Take the time to get the right gasket set. Either will "look" like it fits, however putting the wrong gaskets in will cause both the lower and upper intakes to crack when torquing the bolts. You won't know the lower is cracked(breaks the tops off both center intake runners) where they meet the heads, that is until you start torquing the upper intake bolts and see and hear it crack. Been there, done it!